Calvert 22 Foundation has today launched the Creative Capital Index — an ambitious research project produced with PwC Russia that reveals the key economic factors that make for innovative cities. The Creative Capital Index comprises data from nine Russian cities — Voronezh, Yekaterinburg, Kazan, Krasnodar, Moscow, Nizhny Novgorod, Novosibirsk, St. Petersburg and Tyumen and ranks them in order. The cities were ranked by five criteria: city, residents, business, power, branding. The ranking was announced today at a panel discussion at the All-Russia Forum. Panelists included Alexey Kudrin, chairman of the board of the Center for Strategic Research Fund Maxim Bouev, head of the department of Economics at the European University of St Petersburg and Dmitriy Ozerko, head of the department of contemporary art at The State Hermitage Museum, among others, and centred around the value of creative capital for the development of cities and regions of Russia. 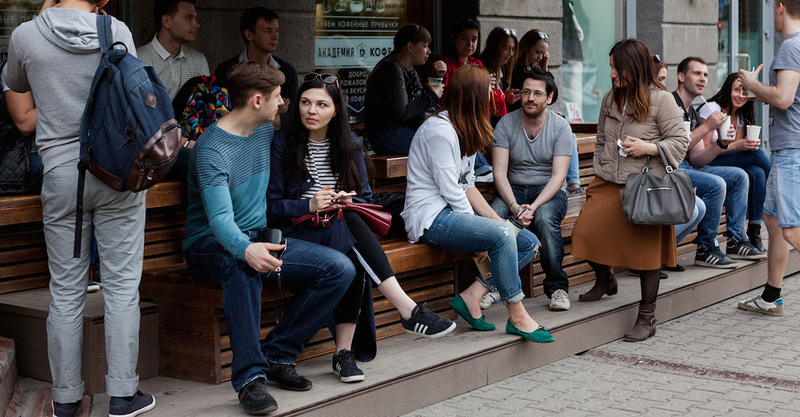 Among the cities featured in the index, Moscow came out with the highest overall ranking of 75.4, scoring highest for its external image and its capacity to attract young professionals. St Petersburg was revealed as the most open and tolerant city, while Kazan was voted as having the most creatively conscious government. The greenest city in the index is Tyumen, while Krasnodar is highlighted as the “Russian California” due to the high number of IT and innovation companies based there. Voronezh holds a unique position compared to other Russian regions as cultural projects receive philanthropic support from big businesses. The Creative Capital Index is currently available only in Russian. An excerpt in English can be read here.